Mountaineers leaving the top station of the Aiguille du Midi. English : Mountaineers leaving the top station of the Aiguille du Midi. A stand of a bouquiniste (French term for second-hand books resellers) near the Cathedral of Notre-Dame, Paris. English : A stand of a bouquiniste (French term for second-hand books resellers) near the Cathedral of Notre-Dame, Paris. A Branta canadensis flying at Burnaby Lake Regional Park (Piper Spit), Burnaby, British Columbia. English : A Branta canadensis flying at Burnaby Lake Regional Park (Piper Spit), Burnaby, British Columbia. Divers Preparing for Work. Front cover illustration of the February 6, 1873 Illustrated London News. English : Divers Preparing for Work. Front cover illustration of the February 6, 1873 Illustrated London News. Loch Fada on Skye with the Storr and the pinnacle of the Old Man of Storr in the background. Scotland, United Kingdom. English : Loch Fada on Skye with the Storr and the pinnacle of the Old Man of Storr in the background. Scotland, United Kingdom. Castle Arenberg, part of the Katholieke Universiteit Leuven, Belgium. English : Castle Arenberg, part of the Katholieke Universiteit Leuven, Belgium. An Eastern Grey Squirrel (Sciurus carolinensis) in St James's Park, London, England. 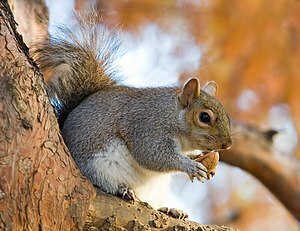 English : An Eastern Grey Squirrel (Sciurus carolinensis) in St James's Park, London, England. Thor's Hammer formation in Bryce Canyon National Park. Southwestern Utah, USA. English : Thor's Hammer formation in Bryce Canyon National Park. Southwestern Utah, USA. Mute Swan (Cygnus olor) with nine cygnets, picture taken in the vicinity of Ouderkerk aan de Amstel, Holland. English : Mute Swan (Cygnus olor) with nine cygnets, picture taken in the vicinity of Ouderkerk aan de Amstel, Holland. Head of Giraffe (Giraffa camelopardalis), Melbourne Zoo, Australia. English : Head of Giraffe (Giraffa camelopardalis), Melbourne Zoo, Australia. 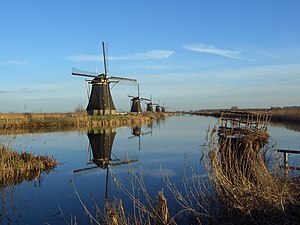 English : Kinderdijk windmills, Netherlands. 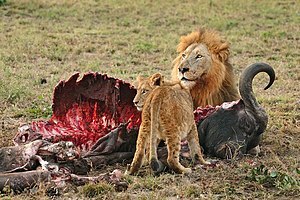 Scenes from the life of St. Austremonius: the saint amongst the beasts of the wild. Middle panel of a stained glass window from an apsidal chapel of the church Saint-Austremonius of Issoire, Auvergne, France. English : Scenes from the life of St. Austremonius: the saint amongst the beasts of the wild. Middle panel of a stained glass window from an apsidal chapel of the church Saint-Austremonius of Issoire, Auvergne, France. View of Haute Severaisse valley and surrounding summits from the slopes of Les Vernets. Valgaudemar, Southern Alps. English : View of Haute Severaisse valley and surrounding summits from the slopes of Les Vernets. Valgaudemar, Southern Alps. A female Boer goat (Capra aegagrus) on a farm in South East Australia, Ensay, Victoria. English : A female Boer goat (Capra aegagrus) on a farm in South East Australia, Ensay, Victoria.